Sold by Courage llc JAPAN and Fulfilled by Amazon. Gift-wrap available. 3.0 out of 5 starsWorks, but highway robbery by Sony! The card works as expected. 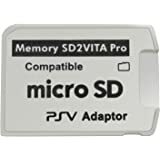 However, I want to point out that Sony has intentionally made their Vita systems so that a standard Micro SD card won't work in them. 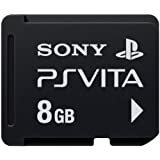 Then, their "specialized" memory cards, such as this one, they slap a ridiculous price tag on for such a small amount of space that would be a fraction of the cost if you were allowed to buy just a standard Micro SD card. I only gave this 3 stars just because the product works as expected. The value for the money on this product is ludicrous. 5.0 out of 5 starsLots of storage space, price is still to high. Received this product brand new and in perfect condition. The 16GB has lots of storage space! I recommended dishing out the cash for this one rather than the 4GB or 8GB which are much smaller and won't go very far. 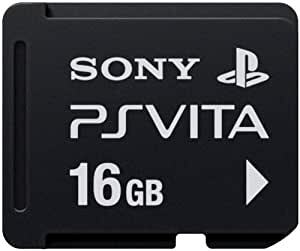 16GB will last you a whiiile... as I already have a ton of PSP, PS1 Classic, and a few Vita games downloaded onto it. Unless you plan on downloading a huge library of Vita games, go with the 32-64GB, but the 16GB is the best go to and will get you on your way. The only con is that the price on these things is still to high. 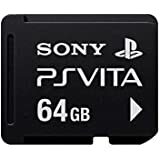 Sony made unique memory cards just for the Vita... and since they are discontinuing production of the Vita, they may as well make and release loads of memory cards at discounted prices just to get them out of here. One can hope. 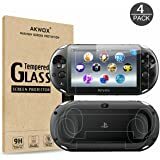 1.0 out of 5 starsAnother Sony only product! Just another Sony exclusive for the PlayStation Vita. You have to buy it because there are zero off brands and for whatever reason Sony didn't put memory in the vita! 5.0 out of 5 starsWhy are they so dang expensive? I mean, seriously.. it's a flippin memory card. 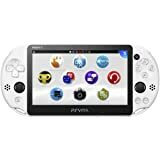 What a huge buzz kill when I bought my PS Vita and Walking Dead game, only to come home and not be able to play a DANG thing.. not even with any of the factory applications. Of course, it was THEN that I saw the TINY little thing in the corner of the PS Vita box that said I'd need a memory card. Really? You couldn't even give me a stinkin 4GB? Anyway... that's how I feel about that.. and that's why I purchased THIS. 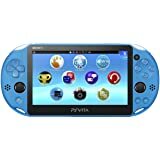 5.0 out of 5 starsGreat for switching between a PS TV and a Vita! 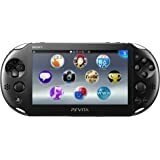 A bit pricey for memory, let's be honest very pricey maybe the reason the Vita failed ultimately, but the 16 GB is the best value because it will actually hold a few Vita games and many PSP games, and dozens of PS One Classics. 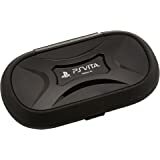 I purchased this so I could switch between my Vita and my PS TV and it works perfectly. I just eject and switch the cards on the fly and am able to enjoy games on either system/handlheld at will. No saves were erased and the only time something is reformatted is if you happen to use your Vita/PS TV without ever inserting a card first, but even then it will prompt you to convert the file over to the card from the onboard memory.